Car wax has evolved since its early days as a carriage shining agent in the 1800’s. What was originally derived from animal fats has morphed into scientifically-enhanced synthetic blend of chemicals, natural waxes and petroleum agents. While car wax is used daily by car owners, enthusiasts, and professional detailers, many of them have no idea about the different types, what’s in them, and most importantly, are there better options on the market for protecting cars paint? Well, fear not – the AvalonKing team is here to shed some light on the truth about car wax. So, let’s get started. What is Natural Carnauba Wax? What is Synthetic Car Wax? How is Car Wax Sold? What Ingredients are in Car Wax? So – Is there a Better Alternative to Car Wax and Paint Sealants? What’s the Future Hold for Car Wax? Did you know that the average car wax application project – from prep to final polish can take up to 8 hours to complete? That makes it an all-day DIY project. Car wax or automotive wax is a natural or synthetic product that is designed to provide a thin layer of protection on the body of a vehicle. The majority of car waxes on the market today are comprised of a blend of carnauba wax mixed with natural oils, beeswax, and petroleum distillates. Some of the newer car wax blends are infused with synthetic resins and polymers that are used a hardeners and shine enhancers. They are generally applied, allowed to dry, with residual “buffed” off until the desired shine level is produced. 2. What is Natural Carnauba Wax? Carnauba wax comes from Copernicia Prunifera Palm tree leaves; specifically found in Northern Brazil. But, did you know it’s also a vegan favorite ingredient for cooking? It’s also a common ingredient in beard wax. Carnauba wax is the one that most consumers are familiar with using. This type of wax is removed from the leaves, processed, then combined with additional waxes such as beeswax or turpentine. When it is applied to a vehicle’s exterior or any paint with a clear coat, it hardens and creates a razor-thin protective shell that is resistant to heat (like an M & M for example). Carnauba wax usually comes in two forms; yellow (which is pure carnauba and more expensive) or white (combined with other ingredients – less expensive). This type of car wax is intended to protect the paint from exposure to the elements including direct sunlight, water, and contaminants. However, it tends to wear thin sooner than later; usually less than six weeks. 3. What is Synthetic Car Wax? The most common type of synthetic wax is sold in a liquid form. You can tell the difference between natural carnauba and synthetic wax mainly with it’s color – as Carnauba is yellow and Synthetic is white. Honestly, a lot of people get this product wrongly identified. Synthetic car wax is also known as a paint sealant. It’s made from synthetic polymers that bond with paint to provide an artificial layer of protection. Several car owners and detailing professionals prefer this type of ‘car wax’ as it’s much more durable and easier to apply. On the flip side, synthetic car wax or paint sealants do not product the same shine as carnauba wax – which is why serious enthusiasts will apply carnauba wax on top of synthetic products. 4. How is Car Wax Sold? Car wax comes in multiple forms – from traditional and highly effective carnauba solid paste wax to gimmick products like colored wax. 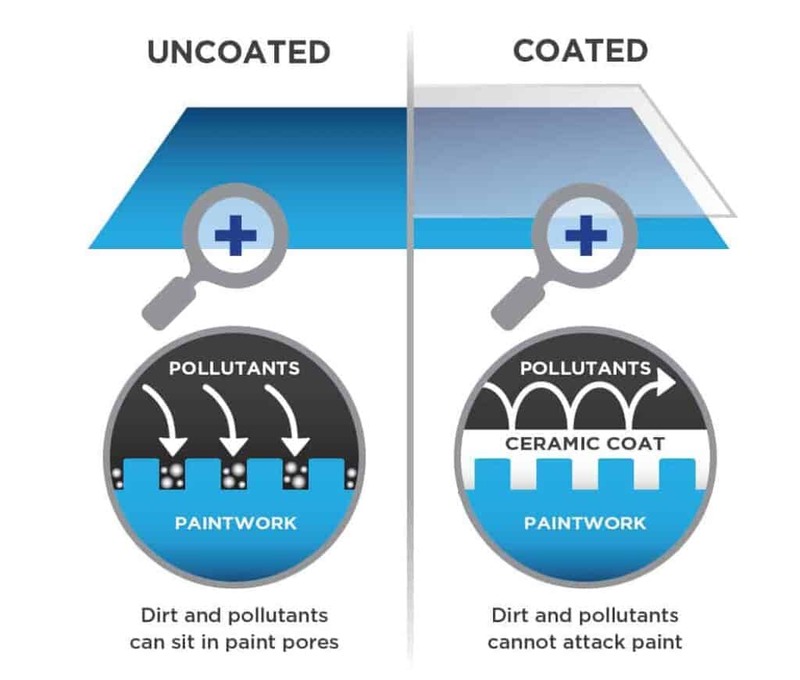 Paint sealants and carnauba wax comes in a variety of different forms; each which unique instruction for application. Paste Wax: Old-school automotive experts swear by this stuff. This is the car wax you’ll find in your grandpa’s garage. It’s a very hard texture that requires heating up the surface prior to application. When it is applied correctly, the shine is out of this world brilliant; mainly because it’s infused with natural oils. Liquid Wax: This is the most popular form of automotive wax. This is the stuff you’ll likely find at the local auto parts store. It’s easy to apply, simple to remove, and can produce a fairly decent shine. Liquid forms of wax are mainly sealants, as they are infused with synthetic polymers to improve the longevity. Spray Wax: If you’re looking for a quick wax job (get your mind out of the gutter), spray wax is likely the product you’ll use. But, contrary to popular belief, it’s not intended as a primary protecant. Spray wax is a filler – or extra layer of wax that bonds to existing wax. Spray waxes wear off quickly – usually less than a week. Colored Wax: So, the theory behind this product is that wax that is colored the same as your paint will protect it by filling in the color scratches that happen overtime. The problem with this logic is that modern paint has a clear coat over the actual colored paint. If you’re considering this product – do yourself a favor and skip it. 5. What Ingredients are in Car Wax? While there are several unique forms that wax is sold, overall, they are usually a blend of these ingredients. Carnauba Wax: Carnauba wax is an environmentally-friendly and natural substance. It’s the magic ingredients that provides the protection duty of car wax. Beeswax: Found in honeycombs, beeswax is what helps carnauba wax adhere to paint. Natural Oils: Linseed oil is a the most common type of oil that is mixed with car wax. Natural oils are emollients – that add luster, shine, and protection to the surface of paint’s clear coat. Synthetic Polymer: When you hear the term synthetic wax, it’s actually derived artificially created silicones or plastics. This is the primary ingredient in paint sealants. This ingredient provides the durability that carnauba wax lacks – but with much less shine. Petroleum Distillates: These solvents are broken down from crude oil and make the wax easier to apply and clean paint. Resins: These plastic-like substances are usually used in paint sealants (synthetic wax) that add to the formula to extend the durability of the product. 6. How Long Does Car Wax Last? This is the question that is the most difficult to answer due to the variables involved. Professional wax jobs with high-quality paint sealants and excessive prep is known to last for up to six months. However, it’s also common for simple wax applications to hold up less than six weeks. Regardless of type of wax used it will eventually begin to wear thin, lose its luster, and become prone to exposure to the elements. The surface prep: When applying wax, it’s important to complete the right prep work – which begins with removal. Most professional detailers recommend using a quality wax removal product, which will provide you with a smooth canvass in which to work your wax magic. The application: Too much of a good thing can be a bad thing – especially with car wax. Applying car wax as recommended, in the proper amounts, and using the right techniques, is another variable that can impact longevity. 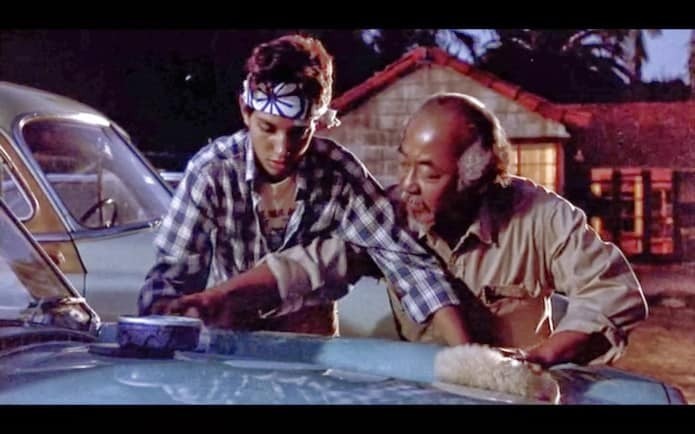 *(for tips on how to correctly apply car wax – please watch The Karate Kid). Environmental factors: This one just makes too much sense. If a car is exposed to the elements – car wax is going to wear out sooner. 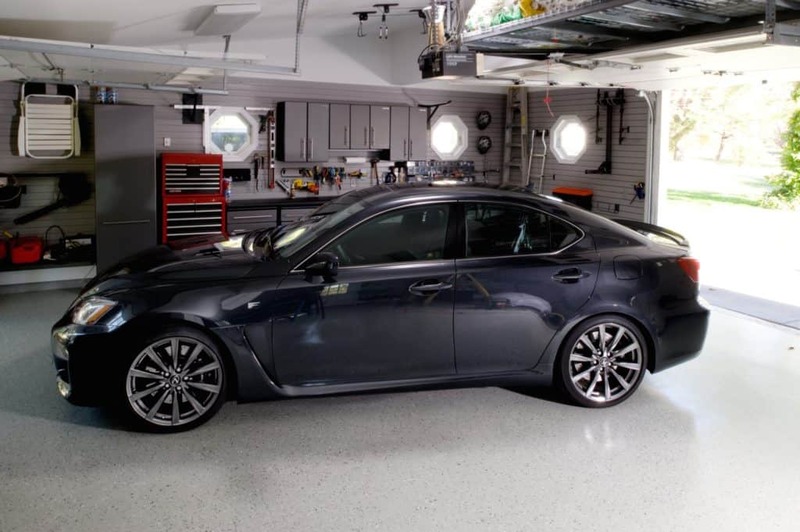 By storing the vehicle in a garage or even covering the vehicle, the lifespan of wax applications will naturally extend. Other environmental factors such as salt, pollution, road grime, and acid rain can shorten the life of wax applied. Washing frequency: The old Catch-22 is alive and well here. Ask any professional car detailer, and they’ll tell you that the best way to protect your vehicle’s surface is removing dirt and debris by washing the vehicle. The drawback is that washing also tends to break down the protective coating of car wax. 7. How Do You Apply Wax to a Car? Applying car wax is a fairly straight-forward process. However, there are a few important details that should be followed to produce a high-quality shine and protective layer. Apply car wax in the shade: When car wax dries too quickly or becomes heated, it will infuse on the body, making it difficult to apply or remove. Apply it slowly – and with thin coats: The key to the successful application of car wax is like good BBQ – slow and low. Apply thin layers of wax – let it dry; then remove by buffing. Complete this process multiple times for an elegant shine. Buff – Buff – and Buff again: Always follow the recommendation of manufacture, but make sure use multiple clean microfiber towels or recommended materials to remove the wax. It’s pretty simple to use. The key is that you need to follow the instructions for each product used. You don’t need a professional to help you. Car wax can be applied with some easy-to-learn technique, minor materials, and some elbow grease. It’s heat-resistant – so it’s great for using in hot weather climates. It’s fairly cheap. Car wax can cost anywhere from $10 to $40 per bottle that lasts for up to a year. It’s a lot of routine maintenance and reapplication. Wax is a natural product – but it wears thin quickly – most of the time less than two months after application. Keeping that beautiful luster and shine with wax and paint sealants is a lot of routine maintenance, and reapplication. Needs to be stripped each time: In order for car wax to work correctly, it needs to be applied to a smooth and wax-free surface. It is costly: Here the hard truth – most of us are not fans of waxing and detailing work. We either take it to the car wash (at $25 a pop), or have a detailer come to our location ($50 per cleaning and detailing). Assuming we take the car just to the wash every month, that’s $300. Having it detailed with a basic wax service will put a $600 annual dent in the pocket-book. 9. So – Is there a Better Alternative to Car Wax and Paint Sealants? Sure – car wax and paint sealants are pretty good for keeping your car protected. However, technology and some ingenuity has introduced a more cost-effective and superior solution. 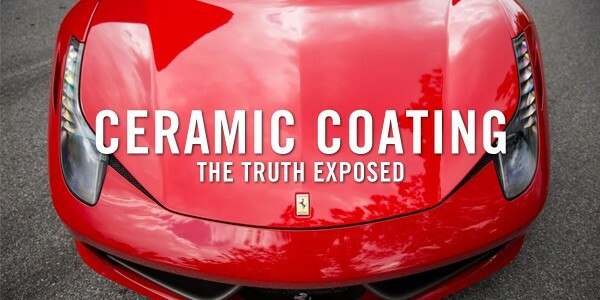 It’s called Nano Ceramic Coatings. Before you ask – no, it’s not snake oil – it’s far from it actually. Here are five common questions that most automotive consumers ask about car wax and keeping their cars clean. Q – How often should I wash my car? A – As often as practical. Most car detailing experts suggest washing once per week is a good idea to remove debris. The key is to wash the car anytime it’s exposed to toxins, chemicals, or other debris that can harm the paint. Q – What Causes Swirl Marks? A – Swirl marks are microscopic scratches in the finish. The small scratches reflect in the sunlight or other light sources and act as a tiny prism, creating a rainbow-like effect They are usually caused by using the wrong types of materials when applying or removing / buffing wax or polish. Q – How do you reduce smudging or smearing with car wax? A – Smearing or smudging is usually caused by applying car wax on a surface temperature that is too warm. The key to reducing smearing is to apply and remove car wax either in a garage, or in shade. It’s important to let your car to cool before applying. Q – What are the 5 best car waxes to use? A – Here are 5 of the best car waxes on the market today; Meguiar’s Ultimate Liquid Wax, Meguiar’s Deep Crystal Carnauba Wax, Car Guys Premium Liquid Wax, Chemical Guys WAX 201 Butter Wet Wax, and Liquid Glass LG-100 Ultimate Car Wax. Each of these products are highly reviewed by most automotive professional journalist and automotive exterior car care experts. Q – How do I know when I need car wax? 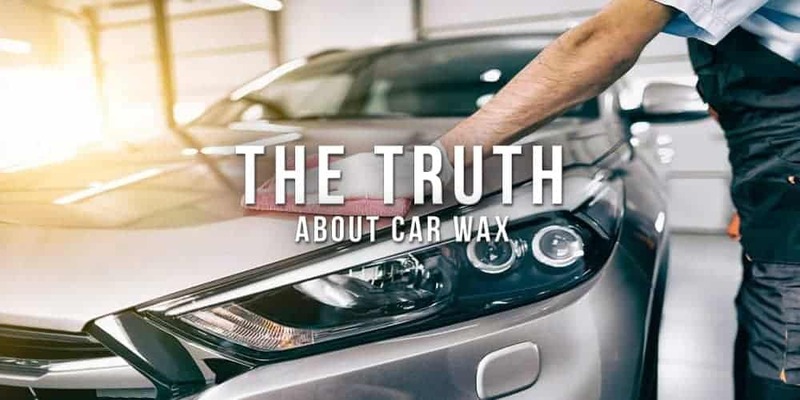 A – The major problem with waxing a car is that once you do, it’s important to follow up with reapplication and maintenance as recommended by the manufacturer of the product you use. 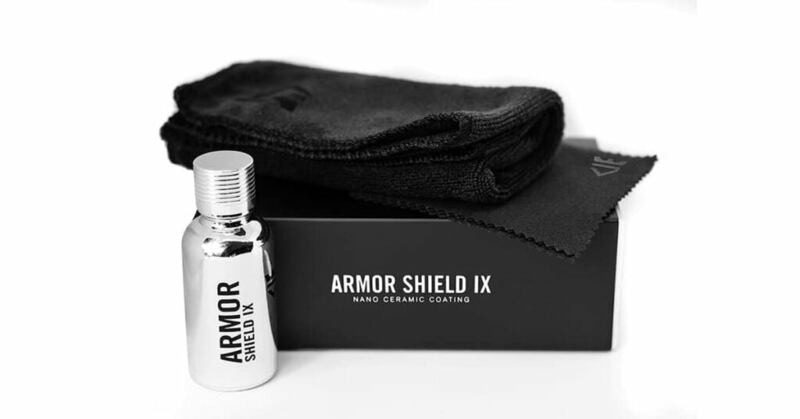 This helps to you maintain the protection and shine you’ve waxed the car in the first place. 11. What’s the Future Hold for Car Wax? Car wax still holds a command on the automotive car care market – representing nearly 60% of the annual sales of car care products across the globe. With proper use, application, and some good, old-fashioned elbow grease, using car wax and paint sealers might allow your car to shine for several years. The key is making sure you are aware of it’s benefits and pitfalls, along with being aware of superior products that last longer, are more cost-effective, and less labor intensive.